The company continued to grow as they added services to their roster. In addition to well pump services, the Boonsboro, Maryland-based company now performs servicing of water treatment systems and septic systems, for surrounding counties in Maryland, Virginia and West Virginia. While William Sr. no longer runs the day to day operations, he still maintains his presence at the company he co-founded, offering his guidance at weekly company overview and manager meetings. 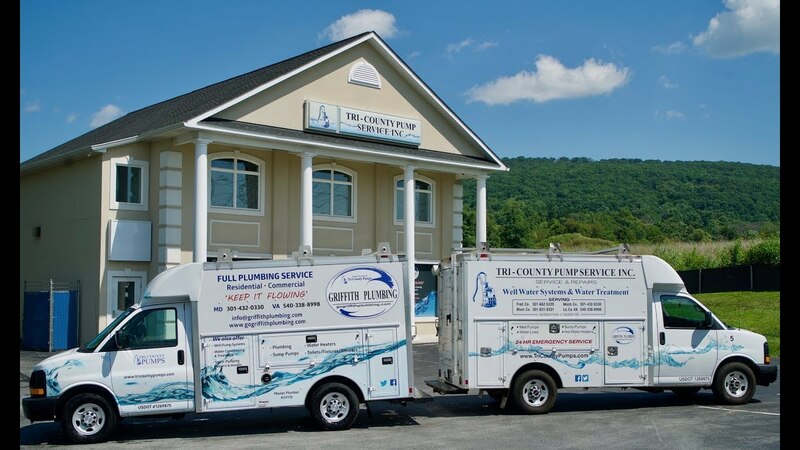 Tri-County Pumps provides all these services for both residential and commercial buildings, including schools, retail stores, retirement homes, wineries and distilleries, and detention centers. To support its employees, Tri-County Pumps offers multiple benefits and contributions. The company provides a monthly bonus program and various company events throughout the year. It also encourages educational advancement and covers the full cost of trade school, classes and certifications. Annual supporter of Saint Jude’s and participates in various fundraising events. Tri-County Pumps also gives back to the community. The company is a main sponsor of the Boonsboro High School Athletic Department. In addition, William Griffith Jr. holds several leadership positions in community support groups, including on the March of Dimes’ Executive Leadership Team for the Frederick and Washington County Chapter and has a position on the GenNext Committee, Washington County Chamber Young Professionals Group. The company tagline sums up what Tri-County Pump Service does best: Keep it Flowing®.